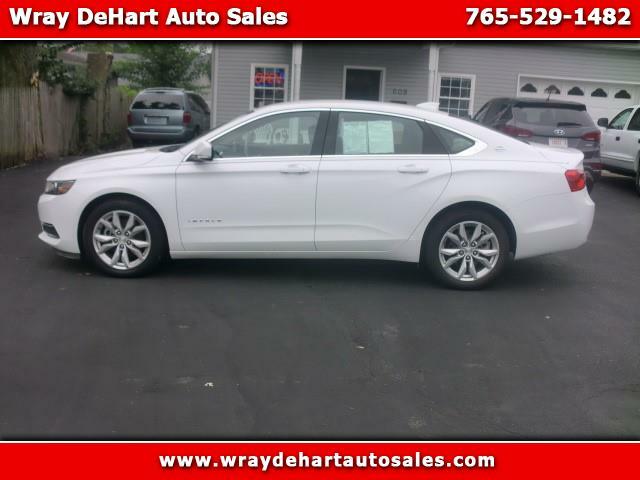 Sharp 2017 Chevrolet Impala LT and loaded up. Can call my cell phone of 765-686-one504 with any questions. Also check our internet site of wraydehartautosales.com. Additional information and photos available at www.wraydehartautosales.com. 765-529-1482. We are a family owned business since 1959 and the oldest used car dealer in New Castle, Indiana. We will not high pressure anyone to buy a car. You can depend on our reputation for a good used car. We try to have a large variety of late model vehicles and also some older ones. Our business has depended on our customers to return when in need of a dependable used car. You can stop by anytime and check us out. We try to accommodate the customer with their time and trouble in looking for a used car. We appreciate your business, so please stop by before buying your next used car. You can talk with the owner Lonnie DeHart or Keith Adams.